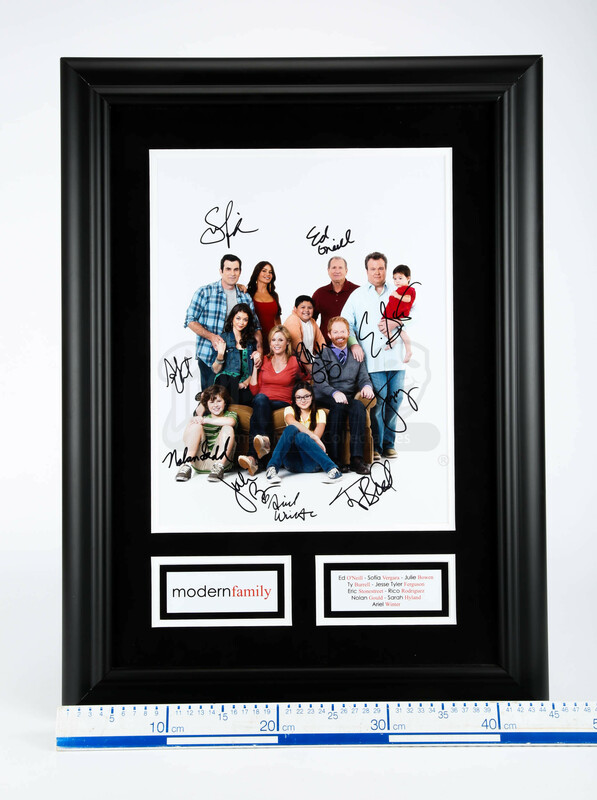 A frame cast-signed photo from Steven Levitan and Christopher Lloyd’s television sitcom Modern Family. 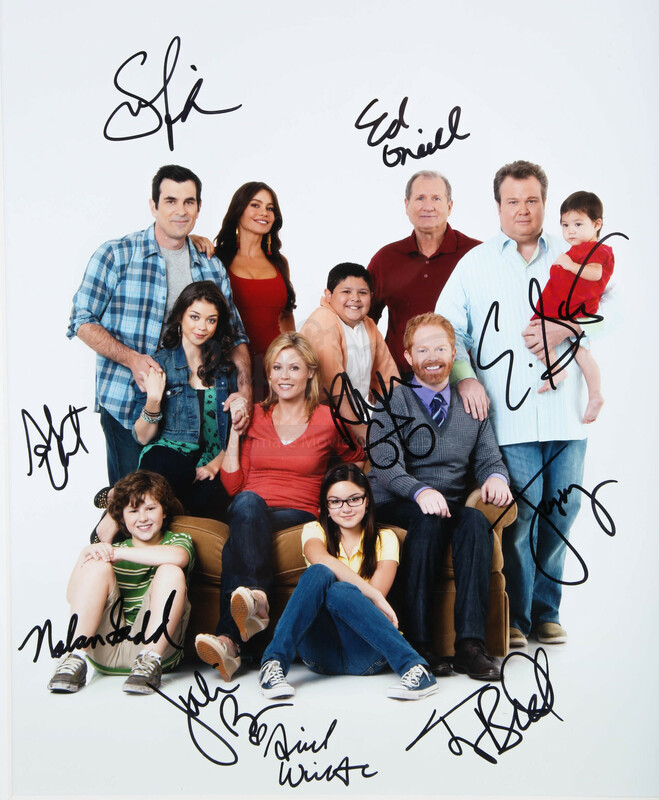 The show follows three different but related families as they go through life in their own comedic ways. 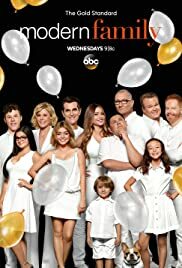 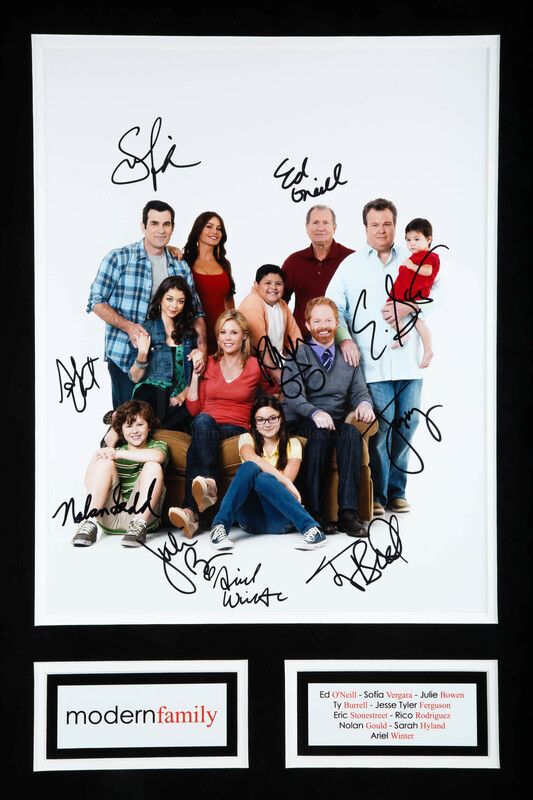 This framed photo of the cast has been signed by ten of the actors: Ed O’Neill (Jay Pritchett), Sofia Vergara (Gloria Delgado-Pritchett), Julie Bowen (Claire Dunphy), Ty Burrell (Phil Dunphy), Jesse Tyler Ferguson (Mitchell Pritchett), Eric Stonestreet (Cameron Tucker), Rico Rodriguez (Manny Delgado), Nolan Gould (Luke Dunphy), Sarah Hyland (Haley Dunphy), and Ariel Winter (Alex Dunphy). The photo comes in custom-built frame with the show’s logo and a list of the actors, also written in the style of the logo. 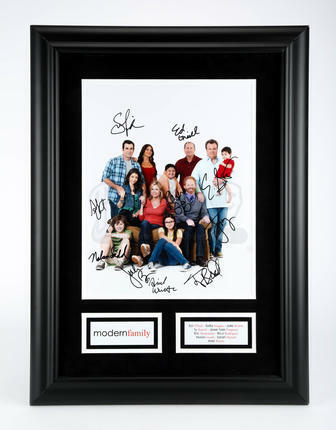 It has some minor wear from storage, including some scuffing around the frame, but despite this it remains in an excellent condition. Materials: Card, Ferrous Metals, Paper, Wood.